Continued growth in our festival necessitated our moving to a larger venue. We have selected the Altoona Grand Hotel as the new home for the Allegheny Ukulele Soiree! With capacity for over 500 attendees, we have years and years of room to grow! 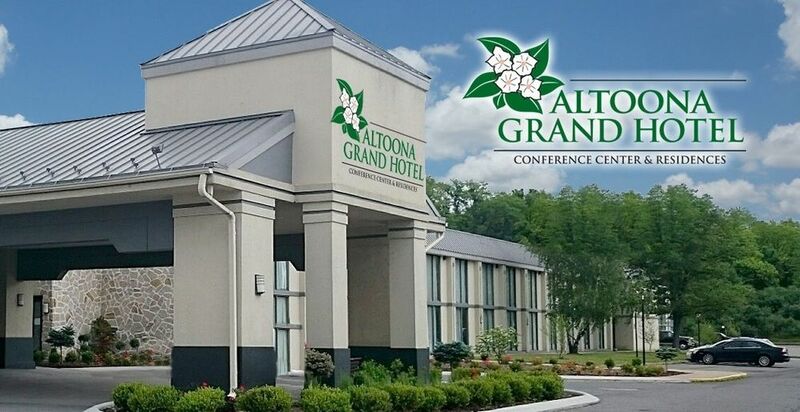 The Altoona Grand Hotel features three onsite restaurants, a swimming pool & hot tub, free WiFi, and plenty of parking. The hotel is situated near major shopping and dining options. If you choose to stay at the Altoona Grand, a free breakfast is included with your stay! We have arranged for a block of rooms at a rate of $90/night (+ taxes). To get this special rate, you must call the hotel at 814-946-1631 (by 4/3/2019) and let them know you're with the Allegheny Ukulele Soiree! The conference center-side of the hotel is where the Allegheny Ukulele Soiree will be held. With four classrooms holding between 75-250 people, we are excited be able to offer more classes and workshops than ever before!